You want to find out what your users are like. It’s vital that you know as much as you can about the person who comes to your website, clicks around on your online space and spends time finding out more about your services. From your marketing messages to your promotional offers, you’ll need to know who wants to buy from you, and why they’re willing to give you their hard-earned money and undivided attention. Asking your users questions about themselves will give you a better picture of who the person behind the screen truly is. One of the best ways to speak with your customer in a convincing way will be to speak directly to them. Knowing who it is, what they might look like and what they care about will improve your marketing materials more than ever. For example, asking your user if they’re male or female allows you to find out the gender of your potential customer. It’s a simple yes or no question. Asking about their age range tells you the demographic you’re speaking with, and helps you understand what stage of life they’re at. This will help you describe your products or services in a way that speaks to customers like them in the future, bringing in even more customers to your company. Users come to websites for a reason. It could be for entertainment, information, news, shopping or advice. Whatever the case, your website user has a need or a want that they want filled. Most of the time, they have a problem or pain point they would like to solve. Be bold and ask your user, “What problems are you facing?” You could take a guess and give them a smattering of choices to pick from, or you could leave it blank and see what they tell you. Another reason someone landed on your website? They might have heard about it from a friend at work or saw someone mention it on their social media timeline. Ask your website user, “Where did you hear about us?” This way you know where to focus your marketing efforts. Of course, not every product is perfect. However, if someone is buying from you, they think it’s good enough to warrant a purchase. Ask them, “Are there any features that you think are missing?” Some of their ideas might be easy to implement into your product or service. Running a great business can be complex. On top of offering great services and products, it’s important that your website is aesthetically pleasing and your marketing material is strong. What you and your potential customer consider a weakness in your business website could be incredibly different. Consider asking questions like, “What’s preventing you from starting a free trial?” or “What’s preventing you from buying today?” These questions get to the heart of the matter, and their answers are important to the health of your business. Every business starts with a goal in mind: offer solutions to a group of people who are frustrated with a particular problem. Chances are, you started offering products and services with the intent to help others and make their life easier. Of course, there’s much more than that. You have to develop the products in a way that fixes the problem, market them effectively and keep customers happy enough to keep coming back to you. That’s why it’s important that they understand who you are, what you do and how you help them. With a small tweak to a sales page, about page or product description page, you can find out what your user does and doesn’t understand about your business. 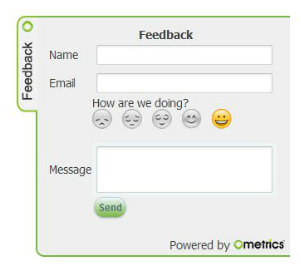 Ask your website visitor, “How are we doing” and be prepared for some honest feedback. You also want to know if you’re providing valuable content for your visitors. To find out if your audience appreciates the information on your site, ask “Is this blog post helpful?” If you need to change what you write about, ask another question like, “What would you like to learn more about?” and leave the answer field blank. To gauge your social credibility, ask a website visitor, “How likely are you to recommend this site to your friends?” Provide a number scale of one through ten and see how you rank. You can calculate the Net Promoter Score as a metric to gauge growth. Also Visitors who reply will more than likely be fairly familiar with your website and give you a genuine answer. Each time a user visits your website, you have a chance to convert them into a loyal customer. Put it that way and it sounds simple, doesn’t it? However, you know how tough it can be. You might assume you know what to offer a potential client and how to present it to them, but it’s far more complicated than that. That’s why you need honest feedback from visitors on your website. You have to ask the right questions if you want the best answers. Every website owner needs to know what’s driving a customer forward and what’s holding them back from buying. But how do you ask the right question to get the biggest accurate responses? With OmetricsTM, you can A/B test your questions and see which ones get more responses. By analyzing your responses you can see which question provides a more accurate answer. You can even set a goal to determine the better question. This way, you don’t have to decide on one ultimate question before you have the data or run your surveys in series taking more time. Simply write out your questions, decide how your visitor can answer and make an A/B test goal such as they submitted or later went to another page. Whether you let them choose from multiple-choice answers or write their responses in a field box, you’ll get the information you need to push your business further and increase your profits.